Beach, Beach, Beach! 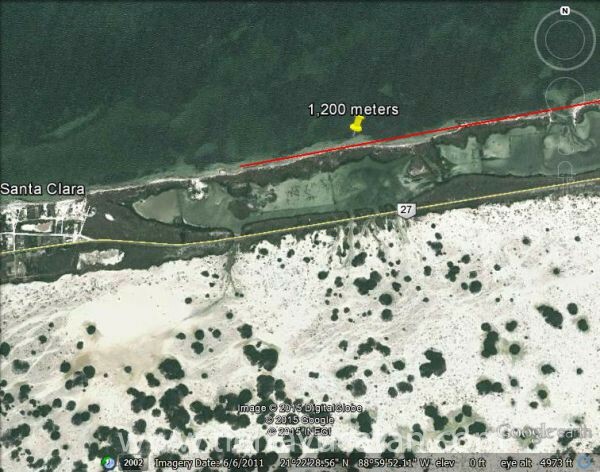 1.2 km of coast between Santa Clara and Dzilam offered at $65,000 pesos per linear meter, depth approx. 200m, coast to road. This land has good title and has Uso de Suelo for Tourism - including a marina - and for aquaculture (shrimp etc.) 500 additional meters are available, see listing 4406, with ruins of historic hacienda Mina de Oro. Owner may consider subdividing into several large parcels. Electricity and phone lines are at lot line.